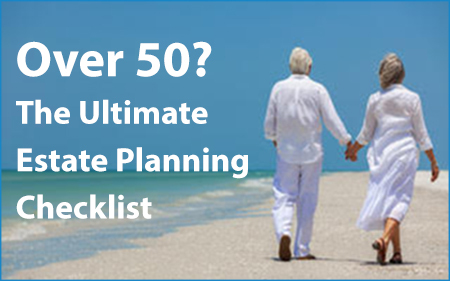 The detailed checklist you are about to receive is your personal guide to a more complete estate-plan. After filling out your Checklist you’ll receive a personalized to-do list. Use this to-do list to make important decisions before meeting with your lawyer. This checklist is your guide to an estate plan that reflects your personal wishes. Imagine already knowing much of what you want included in your will before visiting your lawyer? We all know that saving time means saving big on legal costs. You can do this! This checklist is not an IQ test or a personality test. In fact it’s not a test at all. It’s not a competition either. Rather, your custom to-do list will give you a step-by-step roadmap to improve your estate plan. There is a high probability that the more items on your to-do list the more you will save in legal fees. Answering the questions truthfully can pay you bigger dividends. We make this easy because NO-ONE WILL SEE YOUR TO-DO LIST BUT YOU. To complete your checklist, simply enter your first name, and email address into the fields below and click BEGIN. If you clicked on a link, a complimentary access code has already been entered below. If you don’t have an access code, request one from your financial advisor or Click here to purchase one for $199.00. We only require a first name and email address to facilitate the delivery of your to-do list. No one will receive a copy of your to-do list but you. You may decide to share your to-do list with up to three people. If you received a complimentary access code from an advisor, they will receive notification that you have received your to-do list and will stop sending reminders to complete your Checklist. THEY WILL NOT GET A COPY OF YOUR TO-DO LIST. If you were directed to this page by a family member or friend who received a complimentary access code from an advisor, the advisor will receive notification that you have received your to-do list and will receive your name and email address. They will not get a copy of your to-do list, but may contact you via newsletter or email. Start now and receive your own to-do list in ten minutes or less. Whatever you think you are going to receive — the Ultimate Estate Planning Checklist is so much more. Have fun up-dating your estate plan and saving legal fees along the way.